Aliferous has boosted trainer Kris Lees’ ATC Australian team with her win in the Adrian Knox Stakes. A rails-hugging ride by Brenton Avdulla has helped Aliferous to an upset win in the Adrian Knox Stakes at Randwick and all but secured trainer Kris Lees another Australian Oaks runner. Specked at $61 to start $41, Aliferous was ridden quietly by Avdulla who then took the shortest route home, bringing the filly with a late surge along the rails to nab leader and $2.70 favourite Amangiri by a half neck. Maracaibo ($21) was another long head away third. 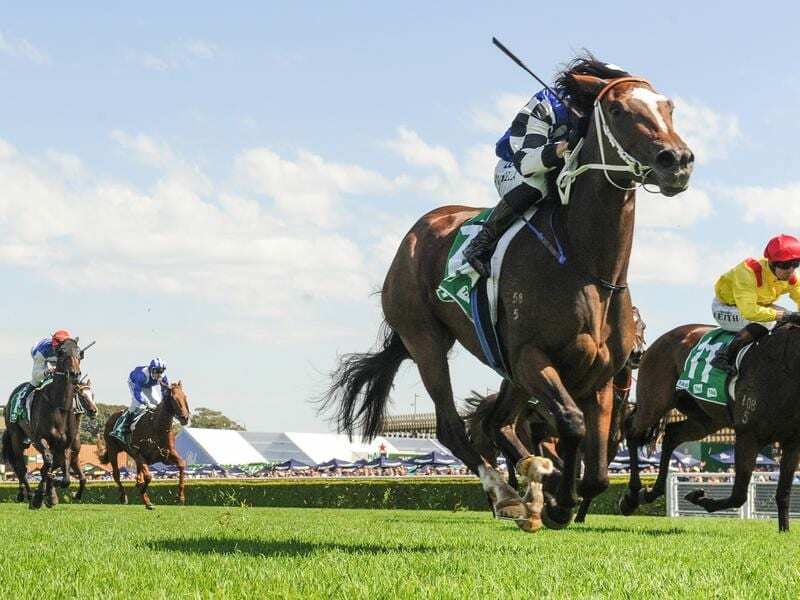 Lees will have Frankely Awesome in the Oaks after scratching her from Saturday’s Australian Derby because she hadn’t recovered well enough from her last run and he confirmed Aliferous would probably join her stablemate. “It would be hard not to run if she pulls up well. We’ll give her every chance anyway,” Lees said. “You’re just not sure when you test these fillies at the trip but she did a good job. “Brenton did the right thing early getting her to relax. She just raced a little keen midrace but she was always going to be strong late. Aliferous had been beaten in a benchmark race at Kembla Grange at her previous start but appreciated the rise to 2000 metres and strong tempo. Her turn of foot at the finish surprised Avdulla who didn’t think he was a winning chance until the final 200 metres. “I thought she was going to run a good fourth or fifth at the top of the straight,” Avdulla said. “They rolled along at a good speed and they hit a wall at the 150 metres. There was drama pre-race with the late scratching of Victorian filly Princess Jenni after she was found to have a raised lump on her neck with dried blood on it. Stewards launched an inquiry and questioned trainer David Brideoake, who said his only explanation was a drip that was given to the filly by a veterinarian on Thursday. Blood and urine samples have been taken from Princess Jenni and stewards have requested Brideoake’s treatment records. The inquiry has been adjourned until the test results are known.